Shown in Platinum, with a centre Columbian Emerald of 0.65ct, Emerald Cut. or 6 payments of $1,403 with What's this? 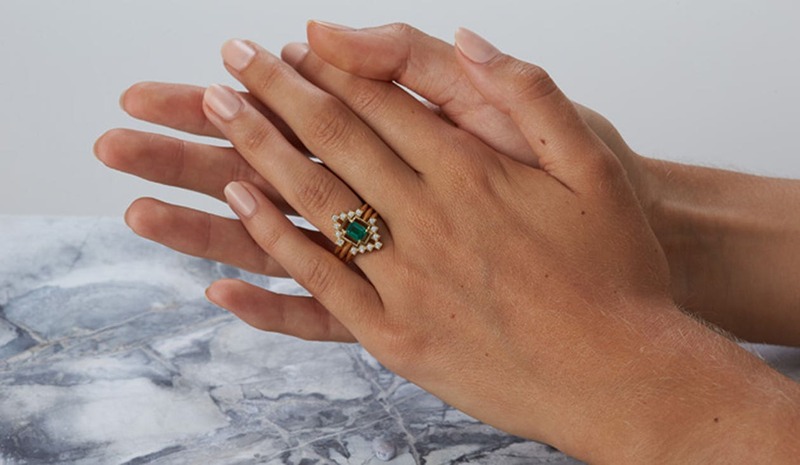 The symmetrical four points and central Emerald at its heart reflects complete contentment and balance. We can alter this design to suit you, choose from Platinum, Yellow, White or Rose Gold, or change the central stone to a Diamond, Sapphire or something unique. We like nothing better than working with you to create something truly special.